Nearly done with the Christmas presents now, last night was cooking night and we brewed up a big batch of Chai Tea, follwoing a recipe from The Kitchn, which we multipied by 5. 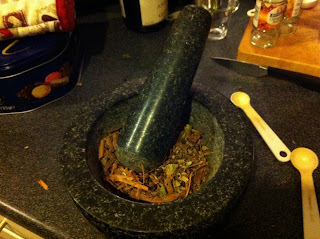 5. lightly crush with a pestle and mortar, breaking the cinnamon is easier with your hands, or ideally- get a man to do it! 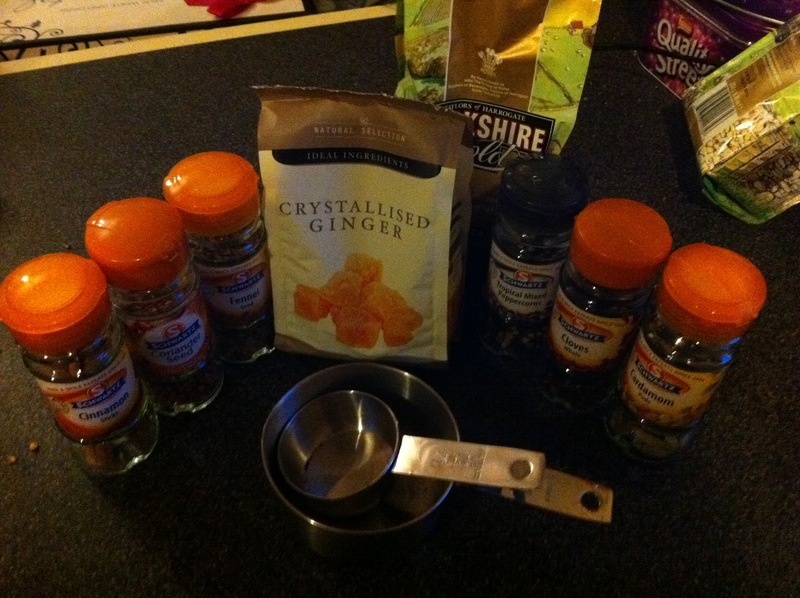 To brew, add about 1 tablespoon of the mix to a reusable tea bag then brew as you would a standard tea bag, but let steep for about 5 minutes, with milk and sugar to taste.